Interested in volunteering during Blogalicious Weekend? Our event is fast approaching and we are accepting applications for a limited number of enthusiastic and committed individuals who are interested in serving as members of our support team during the 2012 Blogalicious Weekend. 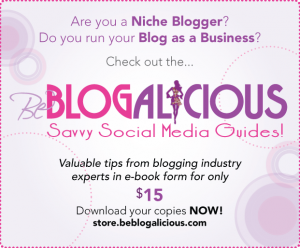 Volunteering at Blogalicious is easy and (we hope) fun! You will have plenty of opportunities to network and attend sessions and events while ensuring that our conference runs smoothly. We truly rely on the support of our community to help us make the event a success year after year. Volunteers must be available from September 27-30, 2012. If you are interested in volunteering, please complete the form below. Please commit to shift times you will be able to fulfill. We understand that the Blogalicious schedule has not yet been finalized, however, please read and complete the information as best you are able to assist us in deciding which responsibilities will be meaningful and interesting for you. More information on volunteer duties, assignments, travel and special arrangements are included at the end of the form (use the yellow scroll bar). Deadline to Submit Your Application is Sunday, July 8, 2012. I am so looking forward to being a part of this wonderful conference!! I can’t wait for BlogHer12 this is such an awesome opportunity! hoping we’ll see you again this year, Patricia! Looking forward to the conference and hoping I can get a chance to volunteer! This would be my FIRST blogging conference! This will be my first blogging event an I am so excited to learn tons and meet fabulous people! I am SO very much looking forward to this!! An awesome opportunity, right in my own backyard!